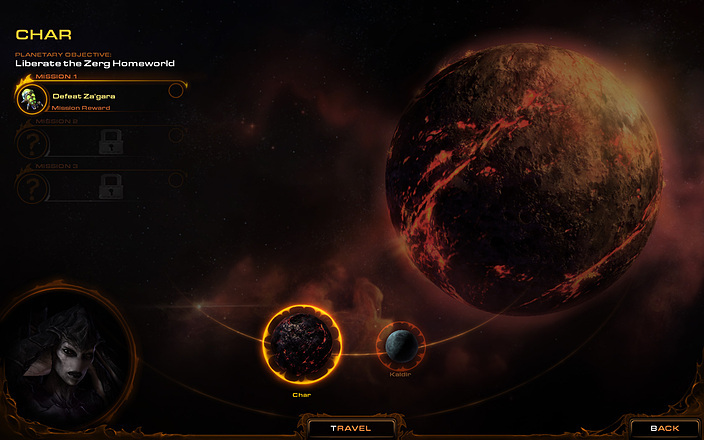 Zeratul visits Kerrigan and advises her to regain her powers by traveling to Zerus, the original homeworld of the Zerg. 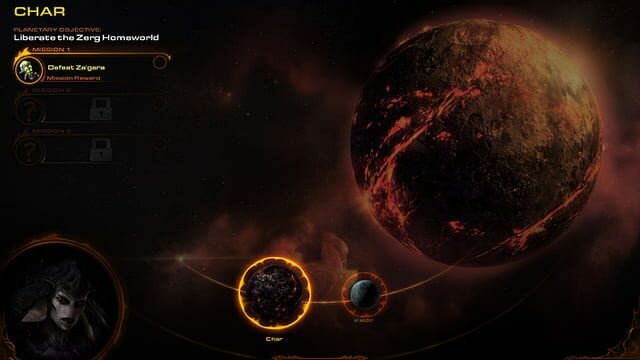 On Zerus, Kerrigan learns that a fallen Xel'Naga named Amon was responsible for making the Zerg what they are: A warring swarm, bound to a single overriding will. 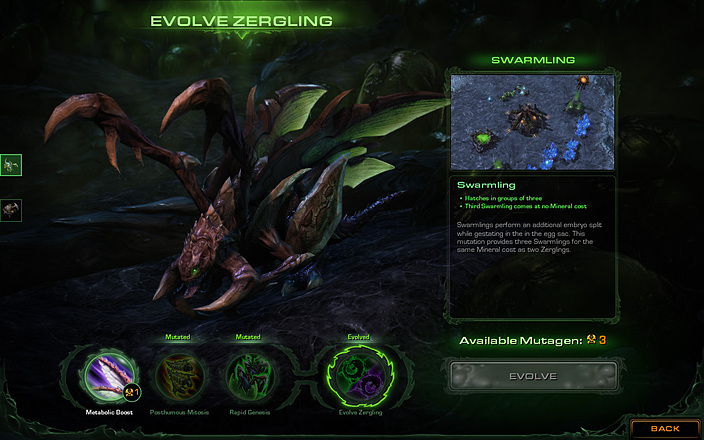 Some primal Zerg, however, eluded and remained independent constantly evolving creatures. One such zerg named Zurvan, known as the "Ancient One", lies dormant in hibernation and must be awoken by Kerrigan for its knowledge on the origins of the Zerg. Upon awakening, Zurvan advises Kerrigan to seek out a primordial spawning pool to regain her former powers. 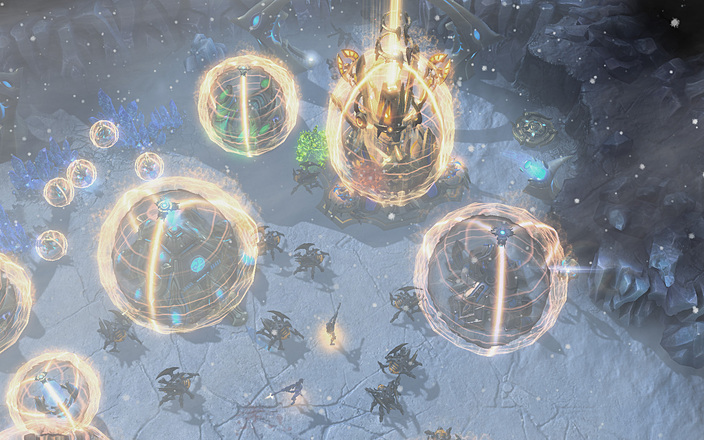 Kerrigan enters the ancient spawning pool and transforms into a primal Queen of Blades. She kills and absorbs the genetic essences of four powerful hostile primal leaders and Zurvan after it attempts to collect her essence for itself. A primal leader called Dehaka and his pack join her, provided that she gives them essence to collect. 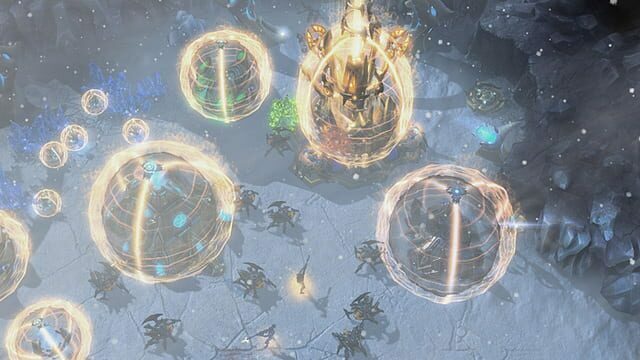 Having united all Zerg under the swarm, Kerrigan launches an invasion of Korhal, concentrating on the capital city of Augustgrad. 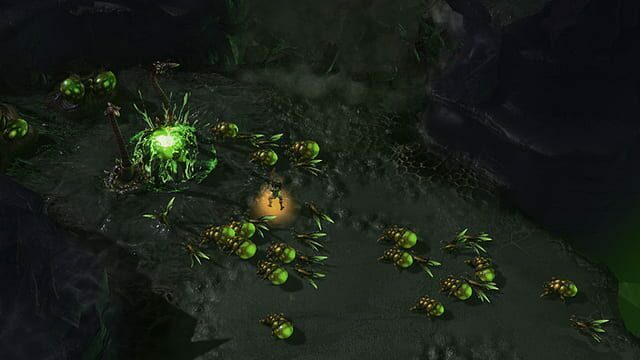 With the aid of Dehaka and his pack, she destroys Mengsk's Psi Destroyer, a device that hurts the swarm from afar but is ineffective on the primal Zerg. As Kerrigan sends the swarm to assault Mengsk's palace, Crown Prince Valerian urges her to slow down her invasion to minimize civilian losses; she accepts, understanding that Valerian is not like his father. Midway through the final battle, Raynor arrives to assist Kerrigan, much to her surprise. Together, they succeed in breaching the imperial palace. In the confrontation that follows, Mengsk reveals that he has the Xel'Naga artifact in his possession, intending to use it to kill Kerrigan. 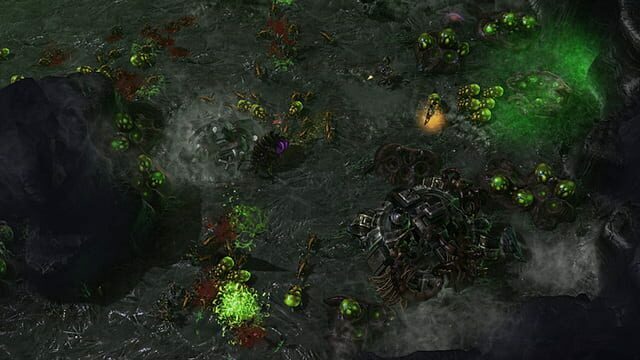 Before Mengsk can do so Raynor interferes, allowing Kerrigan to impale Mengsk. 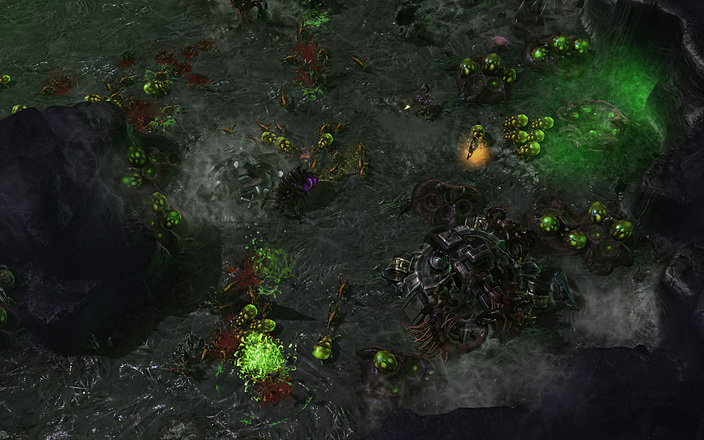 Kerrigan kills Mengsk by injecting psionic energy causing him to explode. As the dust settles, Kerrigan thanks Raynor before joining her swarm. With her quest for vengeance completed she renounces everything she once was or had and prepares to face Amon, the enemy of all living things, in a conflict that will not only decide the fate of the Koprulu Sector, but the entire Galaxy.